Tiptoe Foot Care was set up in 2005 and so has been treating patients’ feet in and around Barnet and Potters Bar for well over ten years. Initially working from a variety of locations in Cockfosters, East Barnet and Palmers Green, it has grown to meet demand over the years and found a permanent home in New Southgate in 2012. Tiptoe’s owner and head podiatrist, Afni Shah-Hamilton, has developed good links with the local hospital, and works with nearby GPs and other health professionals (e.g. osteopaths and physiotherapists) to ensure patients get the right care for them. She also employs other passionate podiatrists who share her vision and values so that Tiptoe Foot Care can help as many patients as possible across North London. With daytime, evening and weekend appointments available, they work to resolve the full range of toe, foot and ankle injuries as well as providing routine care and treatment and advice and information to improve foot health in general. Afni Shah-Hamilton has been running Tiptoe Foot Care for almost 14 years, treating thousands of feet in the process. She has a particular focus on biomechanical problems. As well as treating the running or sport injuries you might expect from a podiatrist, Afni has helped a large number of patients with unresolved (or in some cases previously undetected) problems with the toes, foot or ankle that were causing long term knee, hip, back or neck pain. Afni also specialises in helping patients to understand and manage the impact of diabetes and cancer treatments on the feet and legs, including the treatment of ulceration. Her expertise in the role of podiatry in cancer treatment was recently recognised as she was given a position on the Macmillan Cancer Support Allied Health Advisory Board. Afni has further broadened her knowledge by studying Anatomy in Motion (AiM), which focuses on anatomy and looks at how the whole body should move as we walk, using this as a key to identify the root cause of long term joint pain and mobility issues. She now runs pain and movement sessions that combine these new skills with her podiatric knowledge to resolve a wide variety of interconnected problems. Afni has also been trained in acupuncture to help treat conditions of the lower limb such as painful plantar fasciitis. Constantly looking for new ways to help her patients, Afni spoke at the 2017 COPA Conference at London’s ExCel Centre to a range of medical practitioners on the subject of providing better outcomes for patients through professional collaboration. She has also started a blog on the subject of children’s foot health inspired by her two young children and the common (and some times avoidable) foot problems she sees on the school run. 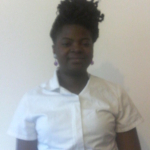 Afni graduated from University College London in Podiatry BSC (Hons) and completed her master´s degree at Kings College London. She previously worked for Southwark Foot Health Department in conjunction with Guy´s and King´s College Hospital as well as working for the Society of Chiropodists and Podiatrists (now the College of Podiatry) as a Learning fund Project Worker, promoting learning and development across the profession. Deborah Kareem joined Tiptoe in June 2016 with experience from practicing in both the NHS and private sectors. 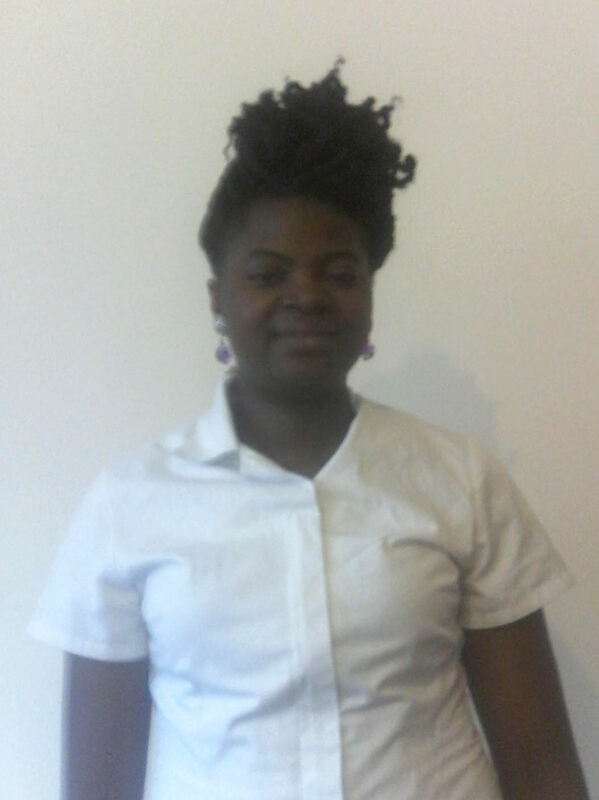 She has always been interested in a medical career and qualified as a podiatrist at the University of East London. 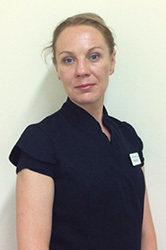 Deborah is interested in the full range of diverse foot problems, and so uses her wide ranging theoretical knowledge and understanding when assessing the condition of a patient’s feet and ankles/lower legs. This helps her to identify and recommend treatment for flat feet and high arches, bunions, calluses, corns and verrucae. She also has interest in other foot pain and sports injuries. Focused on agreeing a treatment plan that suits her patient’s concerns and lifestyle and that will try and prevent or reduce future problems, Deborah continuously improves her own knowledge through reading journals and attending conferences as part of her ongoing professional development. Anna Beech has worked in the private sector since qualifying as a podiatrist from the University of East London. Her aim is not just to provide high quality, patient centred podiatry care, but to also promote appropriate foot health education to clients with the intention of preventing the development of various foot complications in the future. Anna has always been fascinated with how the human body functions, and in particular with how foot conditions affect and change a person’s physical health and fitness. Before becoming a qualified podiatrist, Anna qualified as a sports massage therapist in 1992 from the National Academy of Physical Education and Sport (Volgograd, Russia). Anna has a special interest in sports injuries as well as common foot pathologies such as corns, verrucae and ingrown toenail treatments, and she continuously works actively to increase her expertise in these areas by attending special courses. Anna is keen to make people feel comfortable within the clinical environment, and her previous work experience with disabled and elderly people makes her particularly adept in helping these patients. Marie is an experienced podiatrist joining the team in February 2019 to run our Wednesday clinic. Please book in with her for any of your foot care problems: fungal infections, ingrown toenails, athlete’s foot and hard skin to name just a few. Marie is also able to provide Wilde-Pedique nail reconstruction. Whilst not podiatrists, our receptionists Anna and Michelle are integral members of the team and always keen to help. Please feel free to give them a call for further information or even if you just need directions from New Southgate or Arnos Grove tube stations!